This Friday, Nov. 14, 2014 photo shows the Nebraska Medical Center in Omaha, Neb. 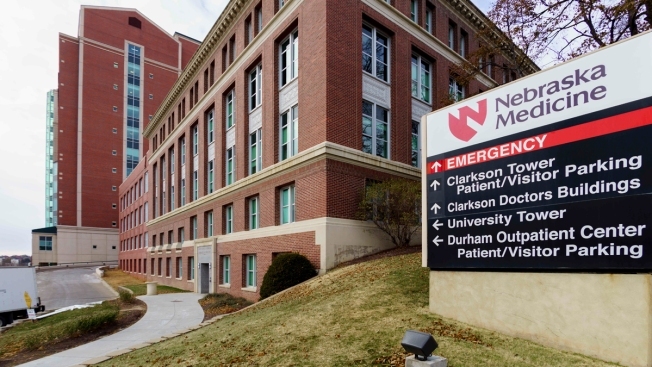 An American being monitored at a Nebraska medical center for possible exposure to the deadly Ebola virus has been released from the hospital, having shown no signs of the disease. The Nebraska Medicine-Nebraska Medical Center in Omaha said in a news release that the patient left the hospital Saturday morning after completing a required 21-day monitoring period. The facility announced late last month that it was housing the person in a secure area not accessible to other patients or the public. The person has not been named after requesting privacy. The person is an American who was providing medical assistance in Congo, where a deadly Ebola outbreak has persisted for months. The Nebraska medical center has a dedicated biocontainment unit and treated three Ebola patients in 2014.